The act of implementing patient-centric systems of healthcare that focus on the whole patient has been gaining traction for years. Here we cover everything you need to know about the Patient-Centered Medical Home. You already know how important it is to have a great website in healthcare, but how do you help patients find your website? We break down the top steps to achieving good SEO—most of which you can do yourself! You know you need patient feedback, but how do you go about gathering it? 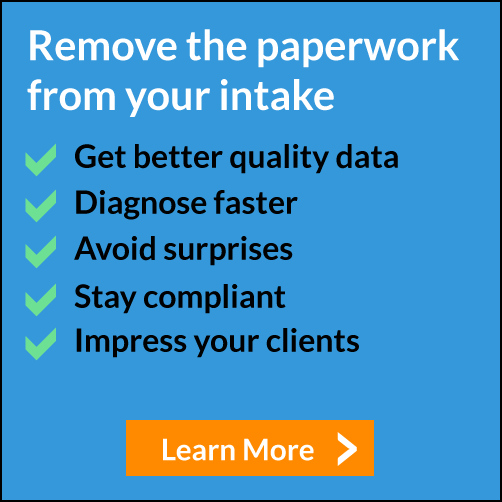 Creating a patient satisfaction survey can seem daunting, but IntakeQ has your back. Check out this article and you’ll be asking the right questions, in the right way, at the right time. Smartwatches, fitness trackers, and mobile monitors are everywhere—we take a dive into the world of wearable technology and its effect on modern healthcare. Comments Off on What Kinds of Tools Should Your Practice Consider? There seems to be a solution to every problem we encounter in the workplace, but most come with a large price tag. We explore areas of improvement in typical healthcare offices and how to know when to invest in different tools.